It’s not everyday that a business executive speaks out in favour of paying taxes, especially at the United Nations. Last week, however, the outgoing chief executive of large Norwegian classification society DNV-GL bashed companies that actively avoid paying taxes in countries where they do business. He also urged more climate accountability and denounced business’ lust for short-term profits. 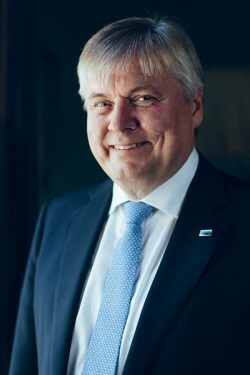 Henrik O Madsen spoke at the UN in connection with his role as leading the evaluation of the UN Global Compact, the world’s largest initiative to boost social responsibility among companies. 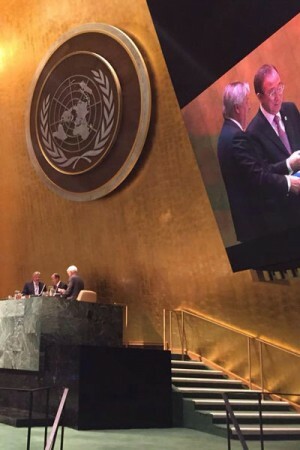 Newspaper Dagens Næringsliv (DN) reported that in doing so, Madsen probably became the first chief executive of a Norwegian company to address the UN, with Secretary General Ban Ki-moon looking on. His message was aimed at making business more accountable and sustainable, in terms of contributing to their communities through paying taxes and becoming more climate-conscious. How else, he asked rhetorically, can a company operate in a country? “The companies expect that the infrastructure they need is in place when they come,” Madsen pointed out. “Someone has to pay for that.” In response to a question from DN, he had no problem singling out Google, Apple, Starbucks and Facebook as avoiding taxes in many countries where they have done business, albeit legally. Thousands of companies now follow UN Global Compact principles tied to human rights, working conditions, the environment and anti-corruption efforts. Even though many companies voluntarily report their work in meeting the principles, there’s no punishment if they don’t. The UN’s goal, and Madsen’s, is attainment of a more sustainable form of capitalism. After 15 years of operation, results so far are mixed and the goal may never be reached. “We hope it will, but the jury is out,” Madsen, who is Danish, said at a press conference in New York. On the climate side, he hopes a price will soon be attached to carbon emissions. And he hopes for more regulation, which isn’t always viewed negatively any longer.